Where can you buy these medals? here you go. I can't wait to post the proofs up close and personal. that will be a stunner. watch. 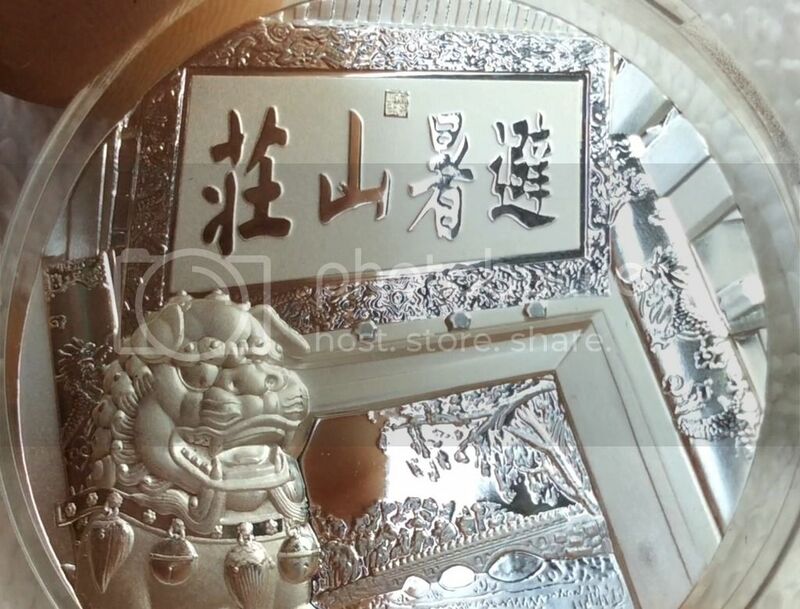 There was a pre-launch allocation and sale in china for some of the silver medals and all of the other medals. A kind individual here (fwang2450) was able to secure some silver and antique silver medals for some forum members although it was already getting late by then. Since launch it appears that two dealers secured a toal of ?600 silver medals from the mint/organisers. I believe one dealer covers China while the second one covers Asia (Malaysia). I do not know their websites. Perhaps another forum member can supply it. 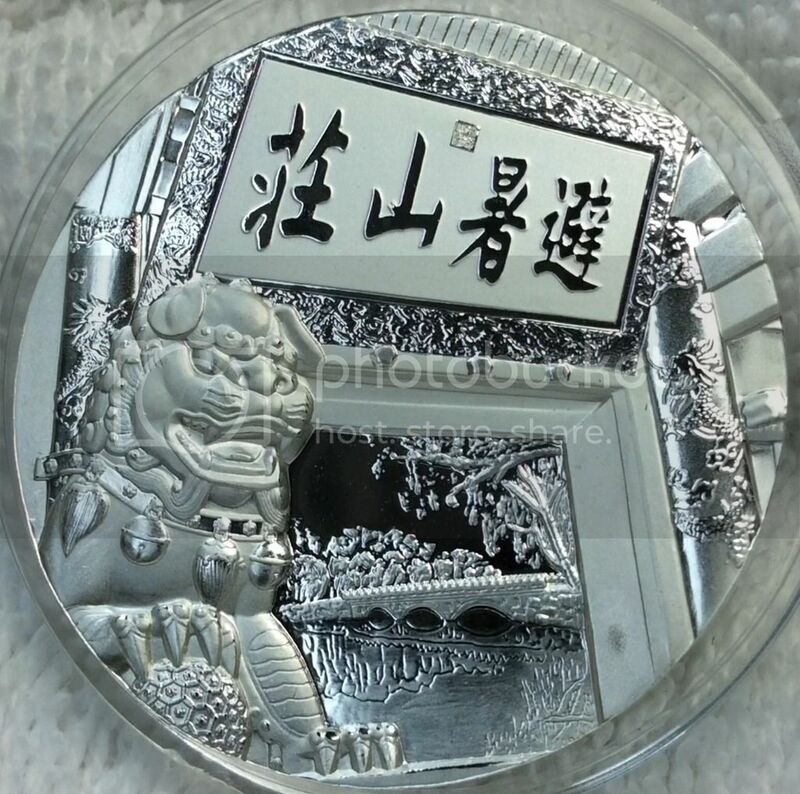 I haven't been out on eBay today but as of yesterday the two non-dealer eBay sellers who had some of the medals in stock were thincat00 and dragonzeng168. There is also a forum member here (andrewlee10) who at times can get you most anything you want, so you can PM him. It seems that most brass, colored brass and antique silver medals you can buy will be through resellers at varying costs. 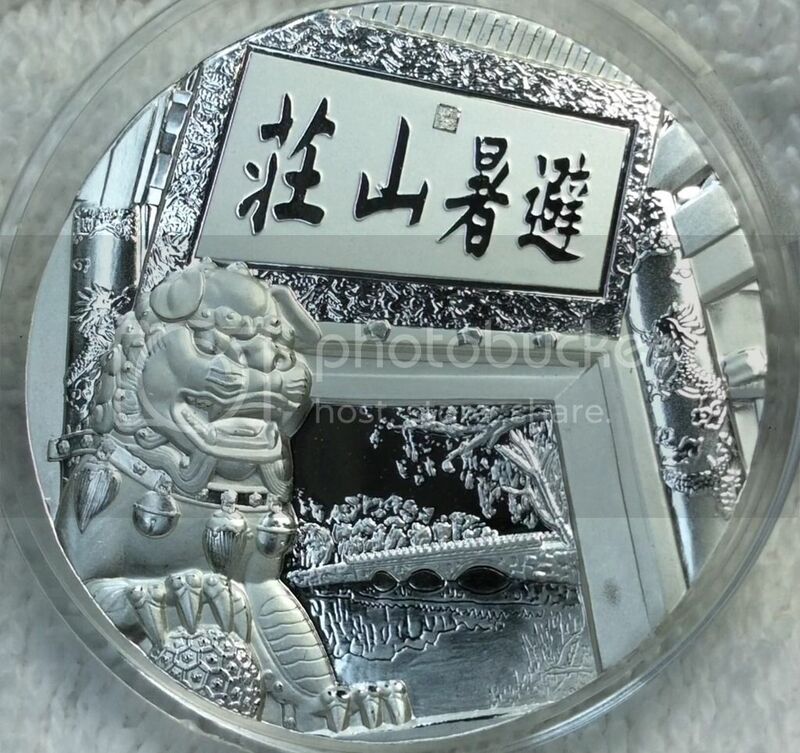 You can start by typing a search term such as "2015 China Mountain Resort Medal" at eBay and see what it brings up. You can also use other search parameters. Google does not return much in terms of results for this same search term. I hope you find this useful. Please feel free to ask more or PM me. Following my posts during the night someone gave me a negative Karma rating. I wouldn't necessarily comment on it except that I am begining to wonder if there is a pattern here. I have previously complained about how it was all of a sudden decimated. It is most productive if a forum member can take it up with any forum member posts he/she does not like. A PM can also be sent. Sneaking behind and lobbing in a stink bomb does not help! The Karma system is an anonymous scoring system and so it is liable to abuse. I respectfully wish to ask the moderator to look at the data and determine if this negative rating is coming from one or two point sources. If it is coming from multiple sources I can accept that. This forum can only be viable if people can post freely. Even though some may say "it does not matter" I say that if the Karma system ceases to be an indicator of the true quality of posts, then it becomes irrelevant. Any one who has given me a positive rating should be affronted by this! Meanwhile I ask for support from forum members with this Karma thing because I am not going any where else. I am going to continue participating in the wonderful discussions and discoveries that abound here. This forum should also protect the truth! How many points did you lose? It went from 5 yesternight to 4 this AM. It just went back to 5 today. In the past it went from 3 to -1 before I complained. Kind of unless it is a recurrent phenomena! As promised, here are the pictures of the one proof I received. Some minor imperfections, but doesn't take away from the beautiful and rich details of the medal or series. Here is the video as promised. https://vimeo.com/132338497 As promised, here are the pictures of the one proof I received. Some minor imperfections, but doesn't take away from the beautiful and rich details of the medal or series. Here is the video as promised. Nice shots, what camera and lighting are you using? Hello NBM, hope you are well. Yes, I actually use an iPad, with light by the door. :-)) The natural light is huge, and putting the camer up against the medal (almost) is huge too. lol. The detail is amazingly rich. Thanks. Okay, I'll show you a little later, promise. And as far as that PF70, all I can say is, 'ha!' And I was getting 'lambasted' for selling my PF70 Panda Goat for 500.00. Having fun with you NBM. As a matter of fact, I recently sold one for 495.00. And a PF69 for 300.00. Not bad in light of a mintage of only 299 and only two different flavors (silver and antique) in this series. This isn't meant to be an argumentative post. Just being light-hearted. I really do like the details of this mountain resort. I believe this is a legit sale. I do wish it had more relief though. And it takes awhile to show on the NGC site. It's still 'fresh' from grading. And I'll show you what I mean by the door. 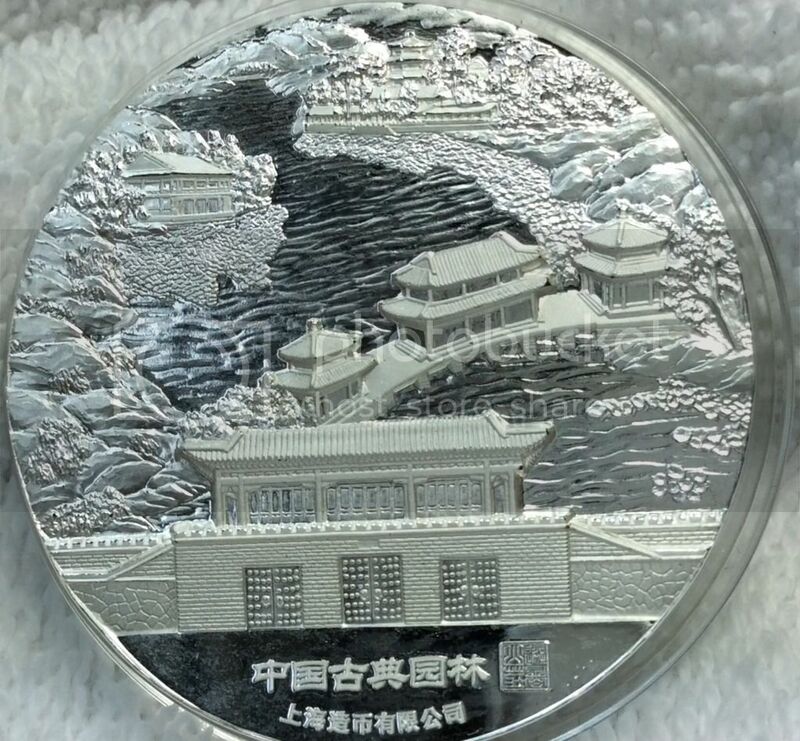 Another photo of the silver 2oz Mountain Resort medal. Improved optics (iPad). Mounting the coin on an easel may bring it closer to the camera while avoiding shadowing from ambient light. I'll try that next!